Sulfur (or sulphur) is a chemical element. The symbol for sulfur is S, and its atomic number is 16. 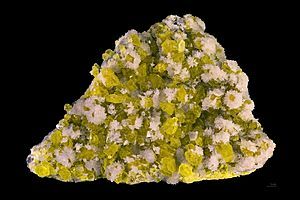 Sulfur is a yellow solid that is a nonmetal. It is brittle (easily broken) and crystalline. It burns easily, releasing toxic fumes of sulfur dioxide. It has a very faint odor. If it is melted and cooled very quickly, it makes a rubbery form of sulfur that is called "plastic sulfur". It gradually turns back into the yellow brittle form. It does not dissolve in water. The smell normally known as "sulfur" comes from hydrogen sulfide and similar chemicals. These sulfides are produced when things decay without air. 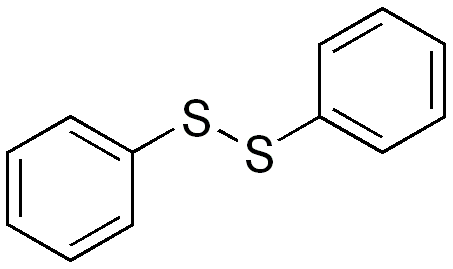 Sulfur compounds are chemical compounds containing sulfur ions. Sulfur comes in several forms: oxidation states of -2 (hydrogen sulfide), +4 (sulfur dioxide, sulfites) and +6 (sulfuric acid, sulfates) are most common, although there are other oxidation states. Tin(IV) sulfide, gold solid, "mosaic gold"
Sulfur can be found in the earth near volcanoes. Many minerals contain sulfur ions. Coal contains sulfur ions which are released when it burns. Hydrogen sulfide and sulfur dioxide are some sulfur compounds that are released when coal burns. They are reacted to make sulfur. Sulfur in the ground in melted, then forced up through pipes by compressed (squeezed) air. 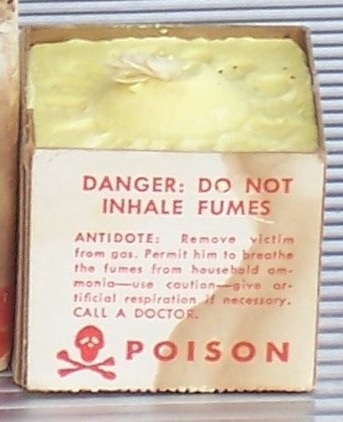 Sulfur is commonly used in gunpowder, medicine, and matches. 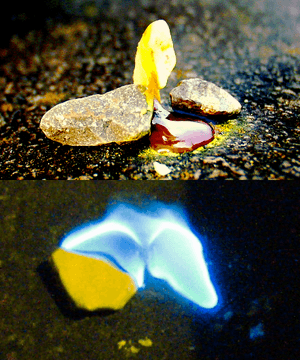 Matches release sulfur dioxide when they burn, giving them their smell. Sulfur is an essential component to living cells. Many proteins contain sulfur. It is also used as a pesticide on organic farms. 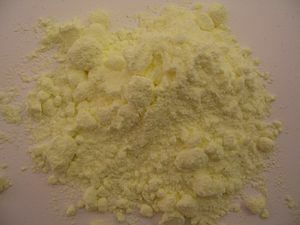 Powder sulfur is said to be left after an occurrence of a supernatural being. Sulfur is not toxic, but the chemical compounds formed when sulfur burns can be very toxic. Sulfuric acid, for example, can make paper turn black! The ancient name for sulfur is brimstone. Sulfur was used in fumigation (making fumes) and medicine in ancient Greece. In 1777, Antoine Lavosier convinced the scientific community that sulfur was an element. Sulfur Facts for Kids. Kiddle Encyclopedia.